General Motors has a lot riding on the success of the 2019 GMC Sierra and 2019 Chevrolet Silverado. The two pickups are the automaker’s bread and butter, and the GMC team took its customers’ requests for a different truck to heart. 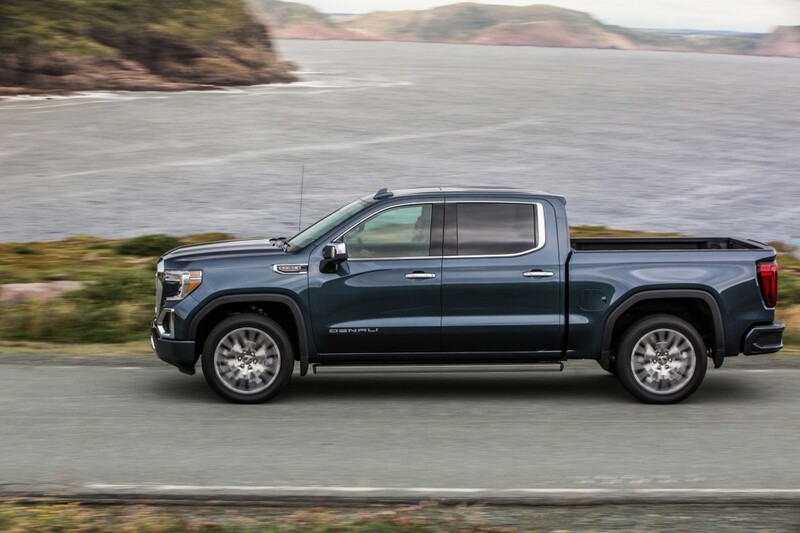 Wards Auto reported Thursday that GMC spoke with loyal customers who showed a willingness to ditch their GMCs if the next truck didn’t shape up as something different from the Chevrolet Silverado. Matthew Noone, exterior designer for the 2019 Sierra, said it followed customers’ voices and worked to create a very different pickup. The team largely succeeded, and GM management gave the team the leeway needed to put a rest to nearly identical parts for both trucks. Although both pickups still share a platform and many components, GMC was able to create separate bodyside character lines and wheel openings. The two added pieces help the truck take on a different look from the Chevy. And the front fascias are very different takes on a next-generation pickup. “In the past, we basically got a (unique) front and rear fender,” Noone recalls. “It was very constraining and drove some of the negative connotations. We actually started the program with unique (rear) doors but decided for the better of the company we should probably share them,” he added. Designers and engineers also worked to give the Sierra a unique lighting design, and the hood appears flatter as it sweeps off of the windshield. All of it comes to a crescendo with a massive grille, which designers worked to emulate a heavy-duty truck design. Noone said the front end is going to move Sierras from dealership to driveway. The separation was needed to appease GMC’s growing consumer base and was born from a new way of thinking after GM exited from bankruptcy: listen to the customers. We’re curious how the same customers who called for exterior differentiation feel about nearly identical interiors in both trucks, however. The sheep are still following the RAM. I applaud the this approach to the new Sierra! It’s no doubt a handsome looking truck, and it’s great to see GM give this Sierra more of its own driving characteristics, according to most reviews I’ve heard on it so far! I still wish they’d gone a little farther in differentiating the interior design, materials and layout! As usual, it’s always the Achilles heel when it comes to GM products! All-in-all, I hope GMC continues to engineer their products to be more than badge-engineered Chevys! Hopefully, it’ll eventually lead to some exclusive models for the GMC brand! Put the SiriusXM 360L 12-inch head unit in this, with ventilated rear seats, and I’d buy one. I do like the looks even though I’m a HD guy. In my opinion the interiors needed to be different, I should say better. I feel if GM made the interiors of the GMC truck different they could truly differentiate the two and see what the customers like better. Based on what I here and see in my area of the world GM is even losing more truck market share, I truly hope I am mistaken. Think GM truck should have taken on the popular Ford F250 with a separate design ! Personally, I look for more distinction than grills and body lines. At one time GMC (I think) had a center differential on 4wd models which is something I would appreciate in a longer wheel base 4wd truck so as ti eliminate drive line binding when you hit sharp turns on dry surfaces. 1976 Chevrolet and GMC both had them. All time or full time 4X4 you just locked it in with 4X4 shifter. I think only on 3/4 ton. I know where there are 2 of them still in use but only during harvest. A lot of gear noise on the road.